Priest’s Tarn is what can only be described as an ex-tarn that is situated on a broad expanse of moorland beyond Black Edge above Mossdale. Based on the Ordnance Survey OL2 Explorer map Priest’s Tarn looks to be one of the more sizeable tarns in the Yorkshire Dales. Sadly this is not the case and it has shrunk in size to a few tiny pools. This does not seem to be a case of a tarn shrinking after a dry spell. From other walkers I know who have been up there it appears it has been this way for at least ten years. What has caused this sad state of affairs it is not possible to say. 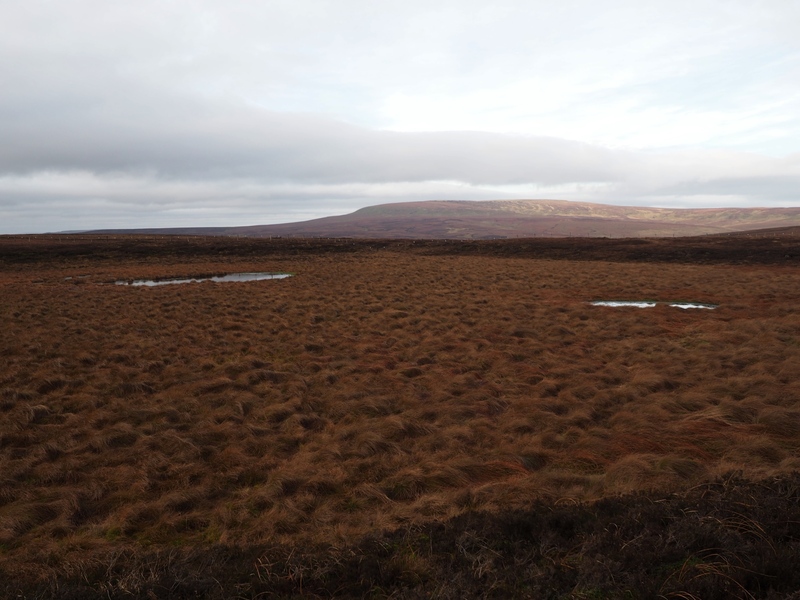 Personally I’m inclined to blame the numerous drainage ditches that have been dug in the area as part of the management of the moor for grouse shooting. 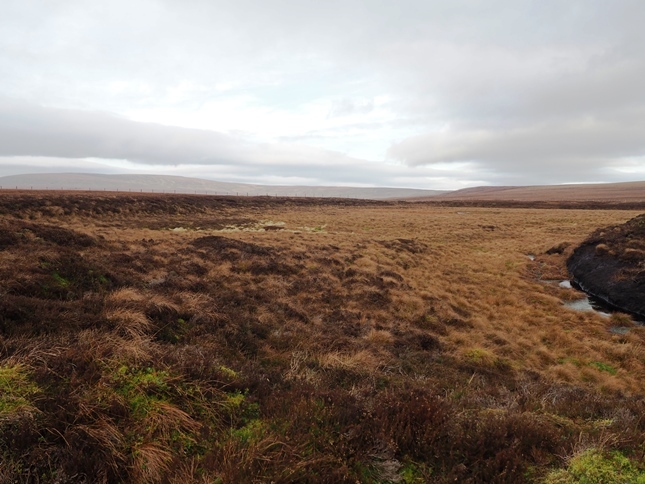 Ironically the easiest approaches to what is a fairly remote spot are via shooters paths either from Mossdale to the north or Grassington Moor to the south.